1. ECOVIEW 9 PLUS offers smart features that speed up your daily routine. 2. 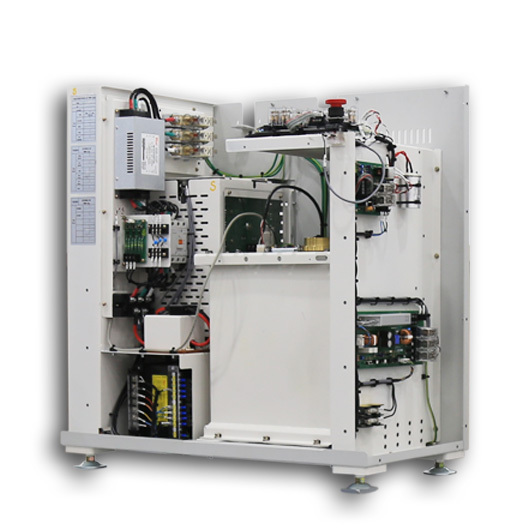 Auto tracking system synchronizes the movements of tube and detector with maintaining constant SID. 3. 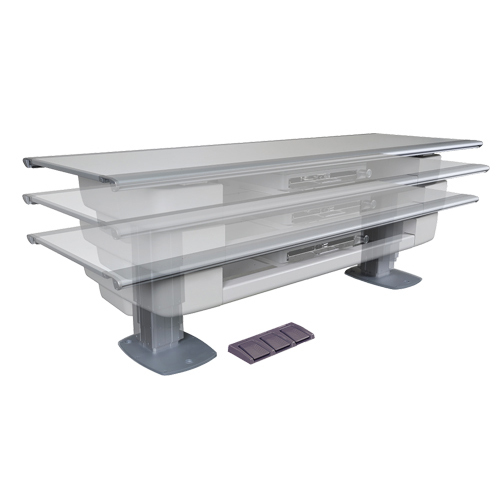 The tracking system feature can be used for table and upright bucky stand applications. 4. 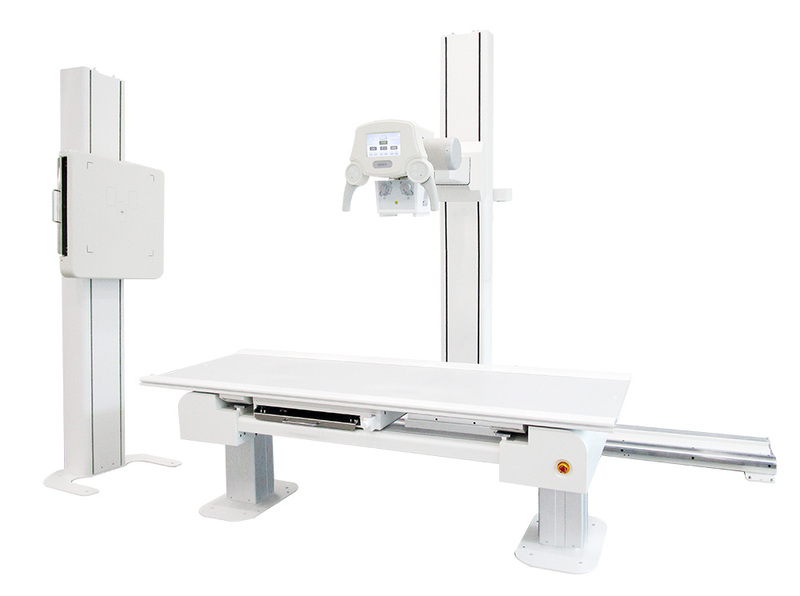 Additionally, the auto-collimator provides the feature of maintaining the right field size of light with SID differences. 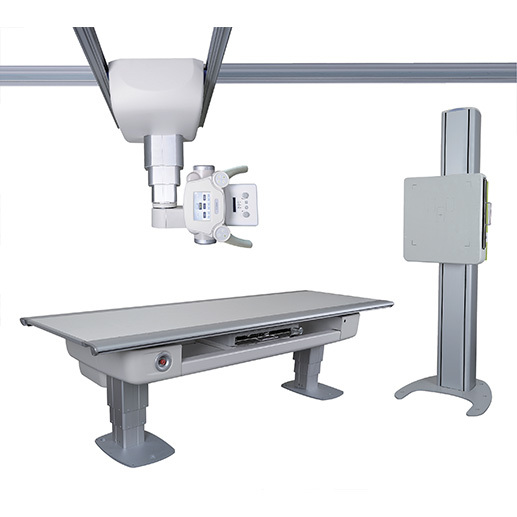 The robust tube is easy to operate.It can be moved smoothly and effortlessly,As it is fixed on a resilient ceiling stand. 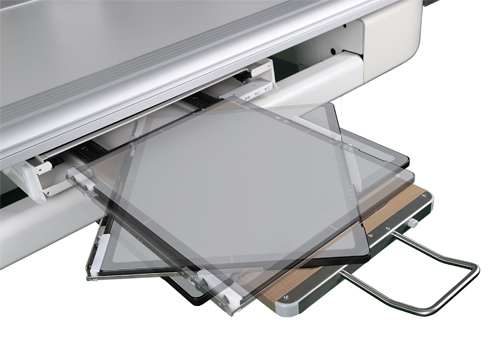 ECOVIEW 9 PLUS provides an impressive vertical range of 150cm. The tube can be moved from head of patient to feet of patient. Upgrade table from 4way manual floating table. Elevation motor is controlled by foot switch. Smooth movement of bucky tray will be given from electromagnetic brake. To release or stop it by stepping on pedal switch. Smooth movement of bucky device with electromagnetic brakes. One touch button to release or stop it. Tilting bucky for diverse examination positions. 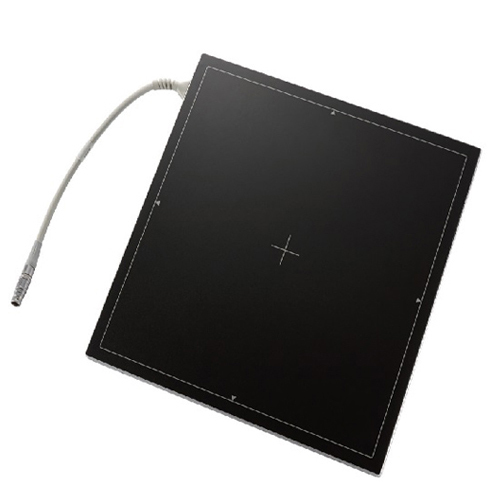 Different size of TFT flat panel digital detectors is applicable. 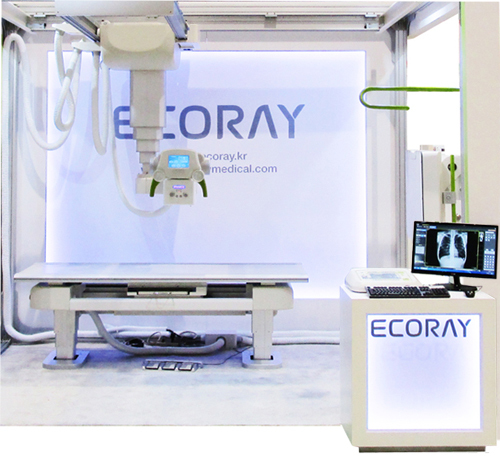 The system unit offers fine imaging performance… ECOVIEW 9 Plus is a well-established digital X-ray imaging solution with optimized design. 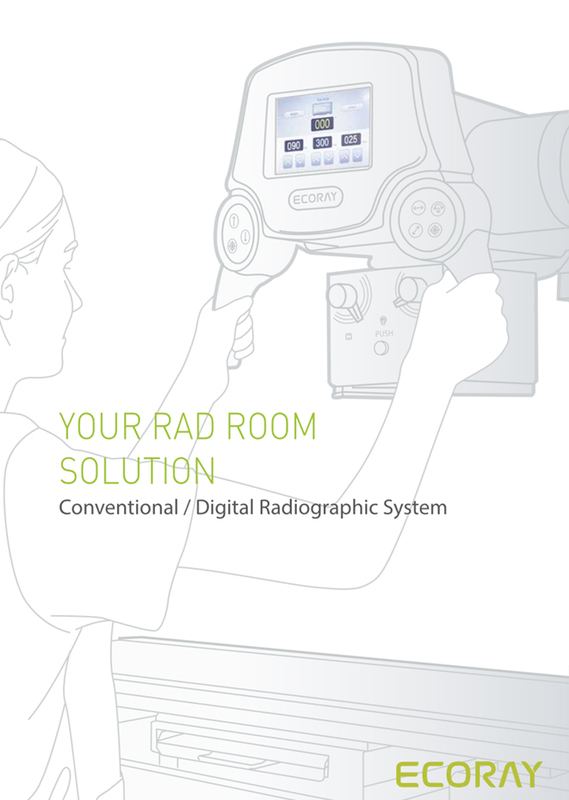 The ergonomic & durable mechanics offers smooth, quick and easy to operate for performing reliable examinations in your Rad room. 2. 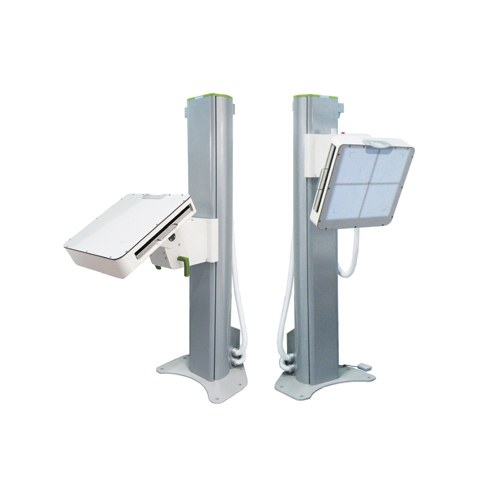 Auto tracking system synchronizes the movements of tube and detector with maintaining constant SID. (Optional). 3. 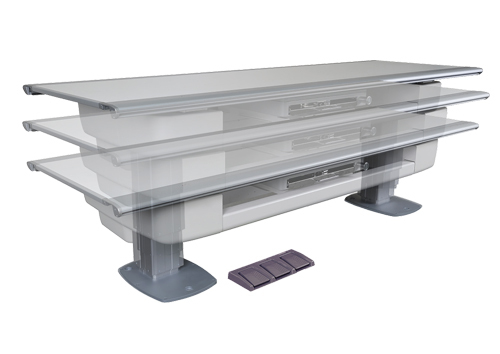 The tracking system feature can be used for table and upright bucky stand applications(Optional). 1. X-ray quantum detecting efficiency is a measurement that indicates how many percentage of X-ray the detector is able to absorb once it get exposed. 2. 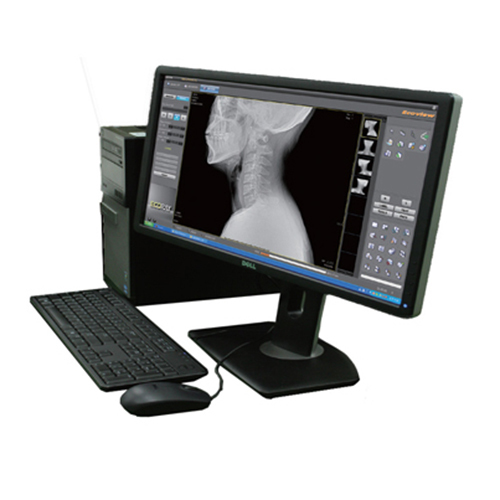 Systems with higher quantum efficiency can produce higher quality images, with low patient dose. 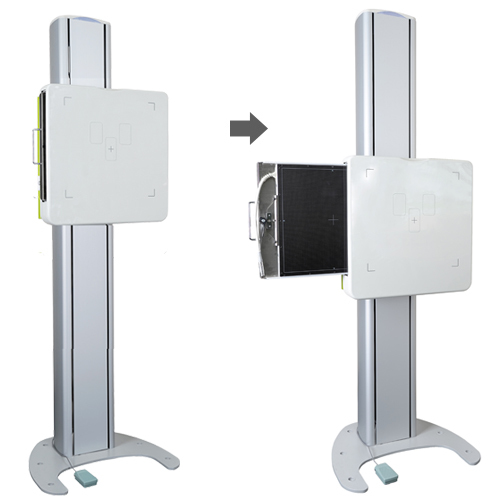 With the new technologies of flat panel detectors, the user can select Ecoview 9 PLUS for high quality of image, better work flow, and so on. Upgrade table from 4way floating manual table. Elevation motor controlled by foot switch. Smooth movement of bucky tray with electromagnetic brake.